The most important step of any skincare routine, no matter how simple or complicated, should be to protect your skin against the sun’s UV rays. Therefore you should use sun cream or a moisturizer with SPF every day, but if you are anyway using makeup in the daytime, why not make sure that it is as beneficial for your skin as possible by containing one or more sun filters – for example the minerals titanium dioxide and zinc oxide? We have already made a list with five of the best loose mineral powder foundations available, but as loose powder can get a bit messy we decided to make a list of some of the best pressed mineral powder foundations. Another benefit of pressed mineral powder foundations is that they can also be applied wet with a sponge for more coverage besides being applied dry with a brush. You can go directly to the list below or read on and get a bit more informed on the topic of mineral makeup. The term “Mineral makeup” is more than anything else a marketing ploy – but a very successful one! For decades powders, whether pressed or loose, have been made with various minerals without there being made a big deal out of it, but in the 1990’s a handful of small companies started making and perhaps more importantly marketing “mineral makeup” as a cleaner and more “pure” alternative to mainstream makeup. To some extent, they were right in their approach as the beauty industry has at times indeed included more than questionable ingredients in their formulas. However, nobody paid much attention to them before the 2000’s where sales started booming as more and more jumped ship from traditional beauty brands, often in fear of “chemicals” and in search of a more “natural” approach. In many ways mineral makeup was and is being sold on fear rather than temptation (unlike lip sticks, perfume etc.) as it is often marketed by what it does NOT contain, what it is NOT and what it doesn’t do rather than the opposite. Unfortunately, in this sales process the reputation of numerous safe, but suddenly “less natural” ingredients was smeared – including that of minerals like talc and mica, which are perfectly safe when made and milled for use in cosmetics. The truth is that all minerals need to be purified thoroughly before being used in cosmetics – both those manufactured by big multinational brands and those being sold by the most alternative, back-to-nature local shops. So, “mineral makeup” is rather a way of branding a product than an actual meaningful label – which a company can choose to apply to a product or not (if it contains some kind of minerals, of course). As an example we can look at two of L’Oreal Paris’ True Match products: The True Match Mineral Pressed Powder and the True Match Powder. They both have talc as the main ingredient and neither contains titanium dioxide and/or zinc oxide for sun protection (which is why neither made it to this list), but yet one is named and marketed as mineral makeup while the other is not. The Mineral Pressed Powder does indeed have a simpler formula, but only contains one other mineral besides the much criticized talc; perlite which L’Oreal described as “a functional filler” in a 2014 study. On the other hand, the “non-mineral” True Match Powder does contain a smaller amount of the mineral zeolite besides talc and certain shades even include minerals mica and titanium dioxide (albeit not enough for a SPF-rating). So, which one of them really qualifies as “mineral makeup”? The choice is the manufacturer’s in one end and yours in the other. The previous section might make you think that Dermotopia is against mineral makeup per se, but that is far from the truth. Many mineral makeup products are wonderful and wholly recommended; we just don’t want you to believe that anything with the word “mineral” on it is automatically great for you. One thing we do appreciate very much about a lot of (but not all) mineral makeup is when it contains enough titanium dioxide and/or zinc oxide to provide you with that extra sun protection (SPF) – hopefully on top of another product with a SPF of 20 or higher. We say “hopefully” because you should not rely on any SPF-rated makeup product for providing adequate sun protection on its own, no matter if it has SPF10 or SPF50. For a powder, foundation etc. to provide its actual labeled SPF-level you have to put it on VERY liberally, like with-a-spatula-liberally, which is not the look most of us are going for. A natural-looking layer will give not give adequate protection on its own. However, a great benefit of SPF-rated makeup is that you are more likely to do touch-ups throughout the day – and thus prolong your protection against the sun, than you are to reapply sun cream hours after your morning routine. Pür Minerals 4-in-1 Pressed Mineral Powder Foundation Color Chart – from top left (by row): Porcelain, Light, Medium Blush, Golden Medium, Light Tan, Medium Tan, Tan, Medium Dark, Golden Dark, Deep, Deeper. Pür Minerals 4-in-1 Pressed Mineral Powder Foundation provides light to medium coverage and is great for those who have something in between slightly dry and slightly oily skin, thereby including “normal” skin. It goes and stays on with a subtle glow, but certain emollient ingredients (for instance shea butter) will spoil the fun for those with very oily skin while other absorbent ingredients will feel too drying for those with very dry skin. Pür Minerals 4-in-1 Pressed Mineral Powder Foundation comes in 11 shades and it should be noted that especially those with medium to tan skin will have a great selection. 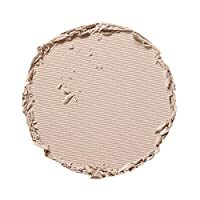 Those with fair skin can mainly choose between colors Porcelain and Light as the shade Medium Blush does look quite like a blush with its dominating rosy undertones. For the other end of the scale, it should be noted that the darkest shade Deeper is slightly orange, thus requiring some caution. Active ingredient: Titanium Dioxide 9.0%. Active ingredient: Titanium Dioxide 17.0% . 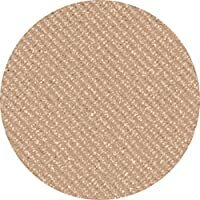 Glo Minerals Pressed Base receives a whopping 4.2 out of 5 rating (194 reviews) on MakeupAlley – and with reason. It is suitable for all skin types and has buildable coverage; from sheer to full coverage. 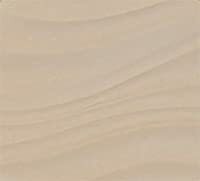 Glo Minerals Pressed Base comes in 24 colors: a fair, light, medium and dark shade of colors Natural and Honey; a light, medium and dark shade of colors Beige and Golden, and a light and medium shade of colors Chestnut, Tawny and Cocoa (see chart to the right). Its SPF-level is not stated on the packaging, but according to the website the foundations offer sun protection equivalent to SPF15 – which is indeed credible due to the fact that titanium dioxide is listed as the third ingredient and zinc oxide as the sixth. Other ingredients – Glo Minerals Pressed Base: Mica • Octyldodecyl Stearoyl Stearate • Zinc Stearate • Boron Nitride • Nylon-12 • Phenoxyethanol • Tocopherol (Vitamin E) • Camellia Sinensis (Green Tea) Leaf Extract • Retinyl Palmitate (Vitamin A) • Ascorbyl Palmitate (Vitamin C) • Caprylyl Glycol • Isopentyldiol • Aqua (Water/Eau) • May contain: Bismuth Oxychloride (CI 77163) • Iron Oxides (CI 77491 • CI 77492 • CI 77499) • Ultramarines (CI 77007) • Chromium Oxide Greens (CI 77288) • Carmine (CI 75470). Depending on your preferences, Jane Iredale’s PurePressed Base is actual superior to the Amazing Base from the same brand. It is less messy and perhaps more importantly, available in a wider range of colors than the Amazing Base. According to the Jane Iredale team, the pressed powder is also more sheer and matte than the loose powders. Other than that, the benefits of the PurePressed Base is similar to that of the Amazing Base which we included in our list of the best loose mineral foundation powders. You can buy Jane Iredale’s PurePressed Base as a refill as well as in the characteristic gold case with an engraved “I”. Active ingredients: Titanium Dioxide 14% • Zinc Oxide 3%. Active ingredients: Titanium Dioxide 5% • Zinc Oxide 1%. 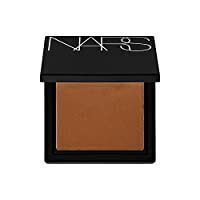 Nars Cosmetics was founded in 1994 by French makeup artist and photographer François Nars and has since then developed an extensive and nearly flawless makeup line. Nars All Day Luminous Powder Foundation SPF 24 is no exception as due to its natural matte long-lasting finish. The initial coverage is light, but is buildable to medium – especially when applied wet. It is not marketed as mineral makeup, but absolutely qualifies as such with its high content of titanium dioxide (which together with octinoxate provides the high SPF) and other minerals. The All Day Luminous Powder Foundation comes in 14 colors which covers all but the darkest skin tones. Nars has also added a little description to each color (named after places, rather than the usual Honey/Beige/Ivory etc. ), for instance “Medium-dark with yellow undertones”, which might assist you in finding your shade. Active Ingredients: Titanium Dioxide 8.3% • Octinoxate 4.9%. Physicians Formula Mineral Wear Talc-Free Mineral Airbrushing Pressed Powder SPF 30 goes on smoothly, but unfortunately only comes in three colors; Beige, Creamy Natural and Translucent which are suitable for light to slightly tan skin tones. However, as the powder provides sheer coverage (although buildable) it is less important that the shade matches your skin tone 100%. It has the highest SPF rating of the powders on this list, but unless you put it on in an unappealingly thick layer it won’t provide SPF30. Don’t rely on any SPF-rated makeup as your sole means of sun protection, but rather as a reinforcement of the broad spectrum protection you are getting from another SPF-product (rated 20 or higher). Active ingredients: Titanium Dioxide 15.0% • Zinc Oxide 10.0%. Other ingredients – Physicians Formula Mineral Wear Talc-Free Mineral Airbrushing Pressed Powder SPF 30: Mica • Tricaprylin • Boron Nitride • Zinc Stearate • Lauroyl Lysine • Calcium Aluminum Borosilicate • Camellia Oleifera Leaf Extract • Chamomilla Recutita (Matricaria) Flower Extract • Ginkgo Biloba Leaf Extract • Panax Ginseng Root Extract • Carthamus Tinctorius (Safflower) Seed Oil • Tocopheryl Acetate • Retinyl Palmitate • Ascorbyl Palmitate • Chlorphenesin • Potassium Sorbate • Sodium Dehydroacetate • May Contain: Iron Oxides • Titanium Dioxide. Physicians Formula Mineral Wear Talc-Free Mineral Makeup Airbrushing Pressed Powder SPF 30, Creamy Natural, 0.26 oz. Posted in Skincare Reviews and tagged color chart, Glo Minerals, Jane Iredale, Mineral foundation, Mineral makeup, Mineral powder, Nars, P for Protect, Physicians Formula, Pür Minerals, SPF. Thank you for this information. I already use Jane Iredale but now I want to try Glo Minerals and Nars. I’ve been looking for foundations that contain both boron nitride and nylon 12.